In today’s fast paced digital age it’s important to hire a real estate brokerage that can address modern marketing practices. Virtual tours, personal websites, exposure on both national and local real estate portals are critical for the successful sale of your home. The Berkshire Group has proven high ranking exposure on multiple websites driven by international search engines. We get virtual and real traffic to your property so you can get on to your next stop, on time with the least amount of hassle. Your satisfaction is our concern. Thinking of Selling Your Home? How's the Market? 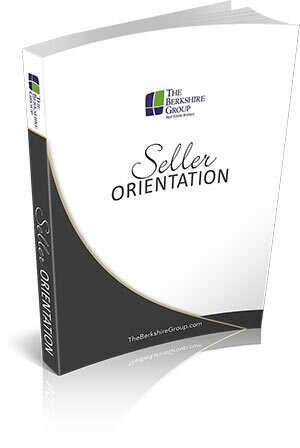 The process of selling real estate is outlined in our Seller Orientation Book. The Berkshire Group believes informed Sellers are happy Sellers! Call for an appointment today and receive this free Orientation book to designed to demystify the process and help you net Top Dollar for your home.